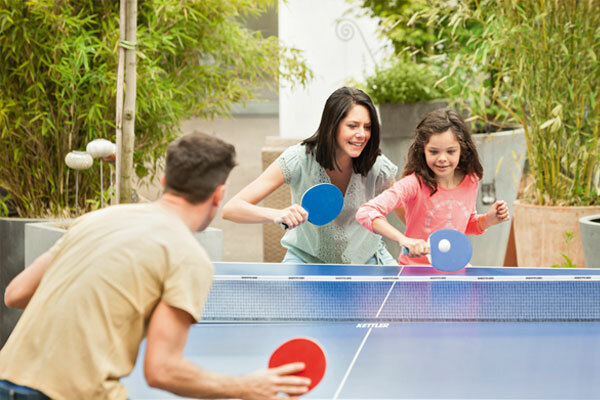 Whether you prefer to call it table tennis or ping pong, it's a game of coordination, skill and quick reflexes. Thinking fast and having fun are part of what make it a sport growing in popularity. 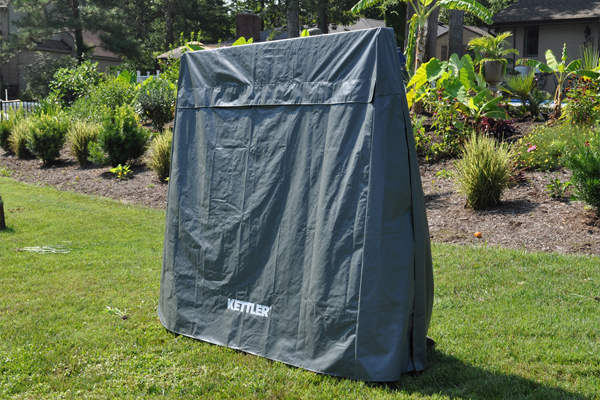 KETTLER has all of the quality equipment and accessories you need to play the game indoors or outdoors. 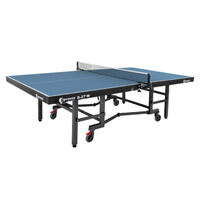 Our table tennis tables are durable, safe and functional. 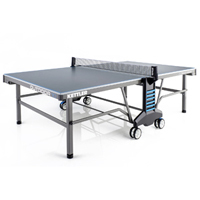 We have developed an aluminum table tennis table that provides better bounce for table tennis balls, creating a more exciting game for you, your friends and family. 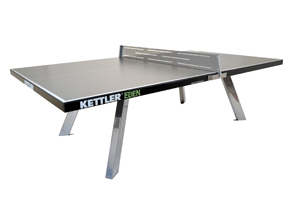 We also have a variety of KETTLER accessories such as ping pong paddles and balls. 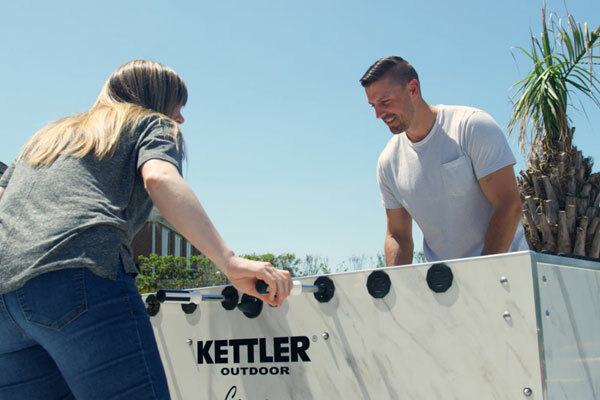 Whether you want to enhance your skills at the sport of table tennis or you want to enjoy some ping pong time with friends, choose KETTLER's Made in Germany table tennis tables.